Drupal is content management software. It's used to make many of the websites and applications you use every day. It has great features, like easy content authoring, reliable performance, and excellent security but what sets it apart is its flexibility. As a tool for building bespoke web applications, Drupal has no peer. The combination of a huge library of contribute modules and the ease with which new ones can be developed make Drupal very efficient to build custom applications. Its applications are wide ranging and varied - whatever you can imagine can be made. Spoon are Drupal experts. It is all we develop with and we are highly regarded in the community. This specialisation makes us the most qualified choice when planning your next website or application. We help you plan, design, develop and host web sites and applications. You can find us in between the river and the beach in North Fremantle, Western Australia. 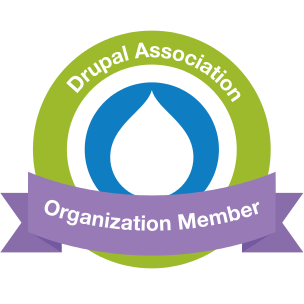 We are actively involved in the Drupal community and are Drupal Association organisational members (and have been since the association was created). We help governments, businesses and individuals adopt Drupal as their web platform of choice and we can do the same for you.